A new AIDS era. A message to the world leaders - Mis crónicas. Carlos J. Valerio M.
Liz, 36 and John 57, are a couple with a lot in common. 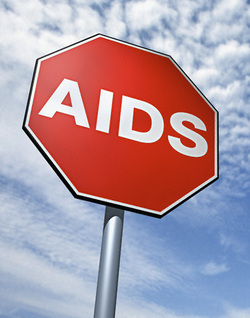 A large list of stems between 17 and 2 years old, an extreme and devastating poverty, and with bitter disadvantage, to clinch their misfortune, they are HIV possitive. Liza, a semi-corpse woman, fulfills the role society assigned to her. A devoted mother and a faithful wife. John has no role; he only expects that the government support will solve everything. Both of them have been taking antiretroviral therapy for years. Hence their four children belong to an AIDS-free generation. Since 1981 when HIV was first discovered, the epidemic itself has suffered a lot of vicissitudes and the way people had faced it has changed as well. Since it is considered as a selective virus, to a wide spread affliction to all human beings. HIV/ AIDS is today closer to an end, unless in some world settings, those who really care about public health, the human right to health and the access to health opportunities as a human dignity ambition. Adela Cortina, a very respectable Spanish expert in bioethics believes that the time has come for people to be treated as human beings, not as objects; to share with the most vulnerable people all the good benefits an elite is enjoying and, most of all; that dignity is a human yearning. Why do I say this? Because, although cure of AIDS is not yet discovered, for decades, scientists and physicians have been the answer to AIDS. Public health authorities, economics and politicians are now the key to achieve another era of AIDS. Because millions around the world do not have access to health care, prevention and treatment, health disparities is a fact, and the opportunity to change this condition is our very hands. Treatment as prevention is a powerful approach from the world of science. Outstanding progress has been made since someone in the earlier years of the epidemic believed that the answer of this disease might be found in the secrets revealed by the investigation. “Scientific evidence has proved the importance of antiretroviral therapy in the AIDS response, both to enable people living with HIV to live longer and healthier lives, and to prevent new HIV infections,” said Mr. Michel Sidibé, Executive Director of UNAIDS, last September (2013). “With this new evidence we can now work to ensure that everyone in need has access“, he remarked. It is accurate. I strongly believe that the time has come to expand access to antiretroviral therapy and to achieve an AIDS-free generation. But, there are still two steps before that. One has to do with the responsibility of the world’s leading clinicians, patient-advocates, economists and policymakers to leave the message. A message to the world leaders, to the public health authorities, the policy makers, to the financial organizations and most of all to our governors that there is hope and that there is a true possibility to stop the epidemic. IAPAC, and organization I below to as member of the Board of Trustees has started sending this message since last year ( 2013 ) , and last September as well, as the organization revealed that the discussions are both timely and urgent in order to alter the course of the global HIV epidemic. “Our deliberations aim to produce a new consensus outlining key TasP and PrEP recommendations that will be fundamental to meeting the United Nations’ goal of ensuring that 15 million people living with HIV will have access to antiretroviral therapy by 2015, and ultimately achieving universal access to antiretroviral therapy,” said IAPAC President, Dr. José M. Zuniga. Testing and treatment are absolutely fundamental to reduce the impact of HIV as antiretroviral medicines have transformed the outlook for millions of people living with HIV. It is determinant though to remember that other forms of prevention in addition to treatment must also remain at the core of our efforts, such as constant use of condoms and a real effort from everyone, including people and health authorities, to promote healthy life styles. What about if we start by reducing the security budget to a reasonable amount? Last September at the General Assembly of the United Nations many countries wisely decided to start signing The Arms Trade Treaty (ATT), a multilateral treaty initiated by Costa Rica in 1997, that regulates the international trade in conventional weapons considering the hypothesis that the illicit trade in small arms is a large and serious problem that requires a global response. It is believed that, by approving the treaty, aggression between countries and terrorism would decrease. This means that there is still hope, but most of all, a real will to start making a change. Similar approaches are taking place worldwide in the field of climate change, food and poverty. So it occurs in the case of HIV and AIDS. The first steps taken from a Declaration headed for a treaty or convention had been made. Let us remember that in 2006 The United Nations Member States met to review the progress achieved in realizing the targets set out in the 2001 Declaration on HIV/AIDS. Later, a Political Declaration on HIV/AIDS was adopted unanimously by Member States on June 2nd, 2006 at the close of the United Nations General Assembly High Level Meeting on AIDS. It reaffirms the 2001 Declaration of Commitment on HIV/AIDS and the Millennium Development Goals, in particular the goal to halt and begin to reverse the spread of AIDS by 2015. The Political Declaration also recognized the urgent need to scale up significantly towards the goal of universal access to comprehensive prevention programmes, treatment, care and support by 2010. Through the Political Declaration, United Nations Member States pledged to deliver antiretroviral therapy to 15 million people by 2015, eliminate new HIV infections in children, achieve a 50% reduction in new HIV infections among adults, reduce transmission of HIV among people who inject themselves with drugs by 50% and reduce tuberculosis deaths in people living with HIV also by half. Countries should support the Global Plan to Eliminate New HIV Infections among Children by 2015 and Keep Their Mothers Alive. This plan can quickly deliver the results needed for the Every Woman, Every Child initiative. Both, are generating real commitments from governments, health experts, activists, business executives and other partners. For the first time ever the world possesses the means to begin to reverse the global epidemic. But success will require an unprecedented willingness on the part of all actors in the global response to fulfill their potential, embrace new ways of working with each other and to be committed to sustain the response over the long term. Other than understanding that promotion of healthy life styles and prevention strategies, all over the world, states should understand that the response to end this epidemic is not sole theirs. Instead, it must be alleged that states have the main commitment to promote and realize two important objectives. First, to organize all spread efforts as a political head, and second and mainly, to confirm that Human Rights and AIDS are a public priority in relation to other state issues as security or weapons development. These are my sleepless desires, the dreams of everyone as AIDS is a global concern. I believe that as weapons and climate change are a matter of concern at the highest level in the United Nations, why not do the same with AIDS by enforcing the countries, according to their national income, to sign an international treat promoting and putting into action a developing program of early HIV detection and promptly treatment together with other public health interventions, to start a brand new era of AIDS.